Deductive Databases and their Applications is an introductory text aimed at undergraduate students with some knowledge of database and information systems. The text comes complete with exercises and solutions to encourage students to tackle problems practically as well as theoretically. 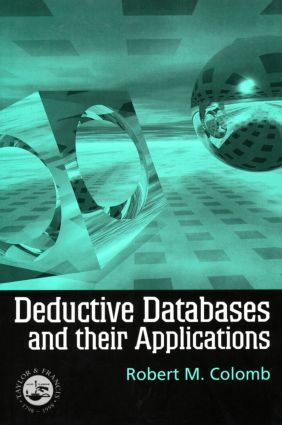 The author presents the origins of deductive databases in Prologue before proceeding to analyse the main deductive database paradigm - the data-log model. The final chapters are dedicated to closely related topics such as prepositional expert systems, integrity constraint specification and evaluation, and update propagation. Particular attention is paid to CASE tool repositories.